It is Christmas and I wanted to give something to my fans. 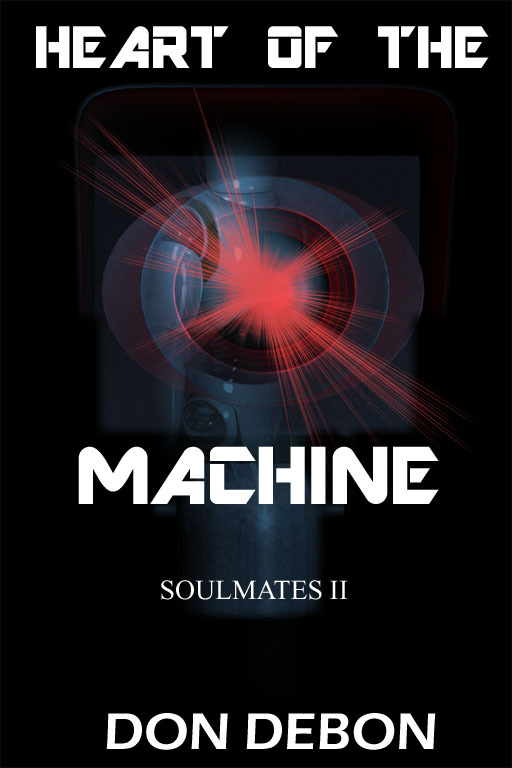 With that in mind, from now until Saturday the 30th my latest book Heart Of The Machine is FREE on kindle! 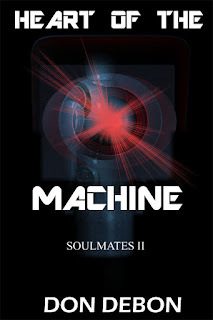 It is by far my longest book, and is a sequel to Soulmates taking place shortly after the first one ends. Deep within the bowels of the earth, a single light flickered. A few inches away a large monitor glowed to life. The black screen slowly printed in the bottom left corner, a letter at a time, as if trying hard to remember. "Catastrophic failure detected. Initiating emergency core rebuild." The screen went blank and came back filled with blurred pixels. Not just a blur but as if someone had run their fingers over them smudging the image beyond recognition. But as the hours clicked by, a pixel moved from one location to another. Then another. Hours turned into days. Then days into weeks. And if you have two minutes I would appreciate a review. Doesn't need to be anything elaborate, one line or two of what you liked about the book is fine and I thank everyone for their support. When I saw the title The Last Jedi, I thought uh oh this can't be good. But then I thought, they wouldn't do that would they? Then I thought of the last movie with Han Solo killed by his own son and I thought oh yes they would. Now of course, a lot of people agree with me (see here and here). Kill off Luke? Have him toss his lightsaber over his shoulder like a used piece of junk? Okay Kenobi went hermit for a while when the empire was hunting down all the Jedi. But the empire isn't around now, so this is a bit crazy to say the least. Luke's character that was one of key (if not main) reasons for the fall of the empire. The after all getting through of this he crumbles and runs away from the world? I don't see it. Also they have expanded the premise of the midi-chlorians further. What I don't understand is why? In the original films it more had a feel of telekinetics with special mind and body abilities. That fits more that some bugs in ones body that gives them the abilities. And now said bugs are giving people abilities that the original Jedi had to train for years to achieve? Does this not sound out of place to anyone besides me? Granted George Lucas did add the aspect of midi-chlorians in the prequels (and I didn't think it fit back then), but this takes it to a whole new level. I bought the previous film (The Force Awakens) before I realized JJ Abrams directed it (he tends to knife favorite characters in the neck). And it was okay until they killed off Han. And oddly enough, nothing I had read up to that point leaked that little fact. If it had, I would have avoided the film like the plague. The Last Jedi I will for sure. What is wrong with having characters that have been around for decades (and well loved) to get a little bit of a happy ending? Sure you want conflict, bit this doesn't make sense. Are all the writers so lazy these days that they can't think up anything other than kill them off? Any writer can kill off the characters, but one that can creatively keep them alive? Now that is real writing! Killing off characters, especially ones you don't have, to is like suicide: it is the cowards way out. It far more of a challenge to keep them alive and fresh and interesting than killing the off for the shock value. I know they had to "change the guard" which is fine, just set the time line ahead and have them all long dead. Toss out the old for the new. Instead they brought in the previous characters and actors. 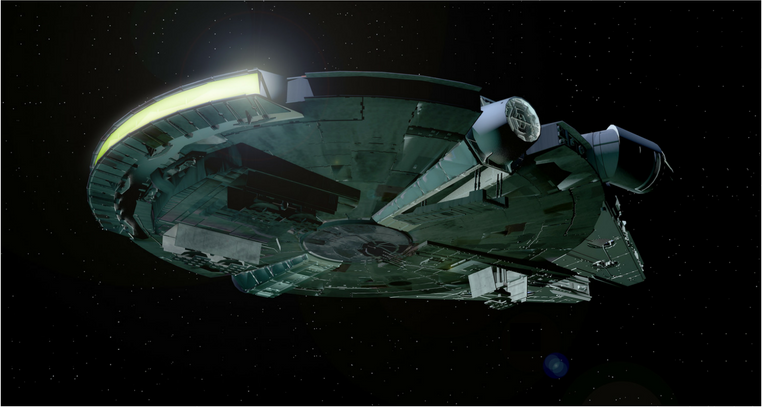 With that comes a expectation from fans that kept the Star Wars torch going for the decades without a movie. This should have brought a responsibly on behalf of the studio, to give the fans what they are expecting. Yet, they tossed it all away. Betrayed the fans that have held the stories dear to their hearts. All I can say is: Disney, you lost me as a Star Wars customer with the exception of purchasing a new set of discs of the ORIGINAL trilogy. It seems to me that real creativity in films is dead. I had great hope and thought Disney of all the companies could do Star Wars well. Perhaps 20 years ago they could, but apparently not now. George, I wish you never sold it. While you did add the midi-chlorians, at least you didn't take a lightsaber to all the main characters. The feel good movie is dead (in general with exception of a few kids movies and romances). You know the ones that you went to and came away thinking that was cool and left with a good feeling. But it seems these days, that is no longer "fashionable". Instead you leave feeling like a lightsaber went through your heart. 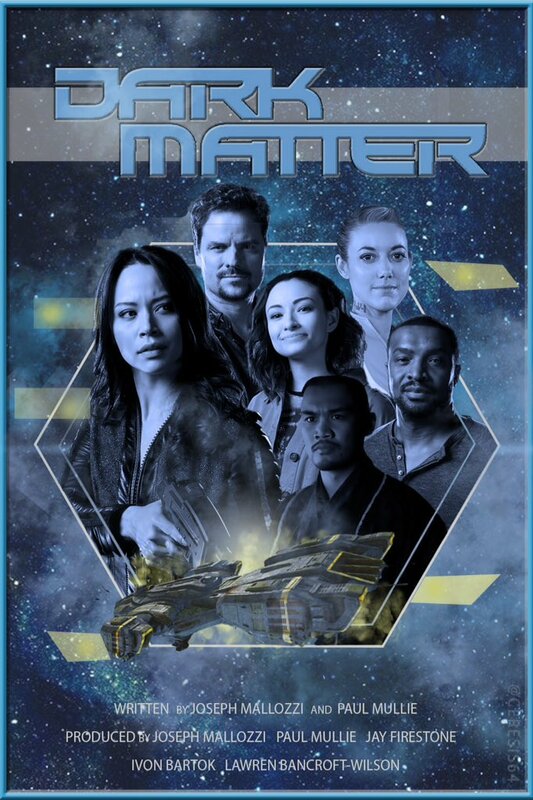 As I have mentioned before, Dark Matter is a great series, that is until three or four episodes into season 3. FOUR regains his memories and changes in a large way, although he doesn't appear very different at first. But when he kills his half brother seconds after he abdicates the throne, FOUR shows his how different he has become. His stepmother I could understand with all the scheming and killing she did. But his half brother only turned against him by deception. Once he finds out the truth, he turns over the thrown and is killed seconds later for it. This is only the start of FOUR's rampage that includes blowing up a station full of people, steeling the blink drive, and even sending assassins after the crew of the Raza. Then SIX leaves to help a mining colony. At this point I gave up for awhile. Eventually I looked ahead via Wikipedia with regard to the synopsis of the next few episodes and I see it only gets worse. Even though SIX comes back by the end of season 3, there are aliens and they take over TWO. And in turn convince everyone to explode the blink drive to prevent their invasion. SIX does this and apparently dies, creating a aperture where alien ships are moving in. And THAT is the end of season 3. Seriously? I read elsewhere the end of season 3 ties up a lot of threads, but does leave a few things out. A FEW? Are you kidding? Another crew member dead and one possessed by aliens is not a huge hole? From what I read it didn't tie up much if anything. I will admit the start of season 3 is a must-watch. Also the episode "All The Time In The World" is well worth it. Some of the best Android moments yet. Not to mention wonderful scenes with THREE. I can't remember when I have laughed so hard. My problem is: it was all going so well then it fell apart. Outside conflict I understand, and internal as well. But this is like internal x1000. There were something similar in previous shows (Babylon 5 for example), but it feels like this was too much for some reason. Recently of Joseph Mallozzi's (one of the creators and lead writer) mentioned on his blog here and here giving the full timeline of Dark Matter. In it he reveals that FOUR does revert to his previous self losing the Ryo's memories. Which I admit, was not a twist I was expecting (and a good one). However seeing the (planned) very end I have to shudder. FIVE is alone on the bridge with (apparently) everyone else dead? Joseph Mallozzi mentions having a backup plan in case it didn't go over well with the fans. Really? You think? I suspect there would have been a outright revolt if that was the ending. While we were given a glimpse of that ending back in "All The Time In The World", he was seriously going to end the series that way? In a way I am glad it was canceled in that case. I would have felt very cheated. I had thought the glimpse was of a bad future they changed and did not come to pass. I suppose I should have expected it with a series named "Dark Matter". Still, there was so many lighter or "light at the end of the tunnel" moments with the characters developing in a positive way despite their backgrounds. Heck, the whole show was based on that and how they could be better. Yet to end it that way? A little too much (dark) realism there. I am not asking for the moon here to have such a show end on a good note am I? Of course when I think about it, I guess it is the prevailing theme these days: kill everyone off. I stopped watching NCIS when they killed off Gibbs' X-wife. Some of my favorite episodes were with the "triad" of Gibbs, Diane, and Fornell. Then they kill her off the same way Kate was killed? That was too much. I hit the abort button and never looked back. In my opinion "killing everyone off" is a shock shortcut and a sign of lazy writing. It is far more of a challenge to keep the characters alive and fresh. Something we see less and less of.